People sometimes ask me for recommendations on where to get things printed inexpensively. Here are online places I've used with (mostly) acceptable results. VistaPrint.com — I've printed magnets, return address labels, postcards and business cards here. Quality varies, but is usually acceptable, given how amazingly cheap they are. Their business card stock is uncoated. Only once did I toss a print job in the garbage, due to a significant color shift. Customer service phone call was a frustrating experience. But with their discount coupons, they're so cheap I can't make myself stop using them for ultra low budget jobs. OvernightPrints.com — I've printed postcards, bookmarks, business cards, and letterhead here. 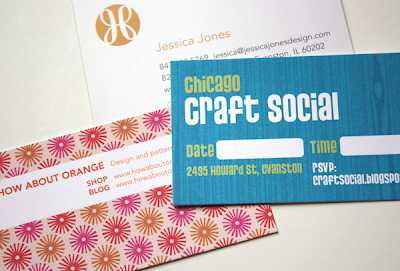 Their postcard and business card stock is very smooth and coated on both sides. They offer a rounded corner option. Only once did I send a job back for reprinting due to a significant color shift, and it came back corrected. Good customer service. UPrinting.com — I've printed tons of posters, brochures and business cards here. The quality has always been good. GreenerPrinter.com — I've printed notecards here. Eco-friendly printing on recycled paper; you pay a little more if you care about the environment. MaverickLabel.com — I've printed stickers here. iPrintFromHome.com — I've used their Somerset Velvet Giclee fine art print service with gorgeous results. Richly colored fine art prints on heavy watercolor-like paper. CompanyFolders.com — Unlike the others, I haven’t tried this place yet. But finding a printer that specializes in pocket folders at good prices seems handy. Bookmarking this one for the future. Check out psprint.com too. I've had flyers printed there. Great quality and sometimes you can catch amazing sales! Oh yeah! I think I did some sell sheets there once that turned out great. Thank you for the reviews! Sorry about sounding like a cheerleader here, but I'm a pretty loyal customer! PS- they are the only printer who has been consistently able to nail the process pantone colors in my logos, too. That counted for a lot to me. Have had color matching issues with lot of other vendors. Thanks for the list! I'm always looking for printing options. Thank you for sharing your resources. I've tried Vista and Overnight, but have been looking to try some others. This is very helpful! gotprint.net has amazing prices also! Super cheap! Love it! gotprint.com has been my go-to for about year now. both bcards & brochures. great quality 100# recycled stock aqueous coating... ultra cheap. FYI. Their website is totally weird, but super cheap, and SO fast. I'm pretty sure my entire photography department used them to get their theses printed. Awesome! Thanks for the post. You are always my source for the best info around!! I've used Modern Postcard quite a bit, I'll have to look and see how their prices compare. Thanks for the helpful list! Great information! My husband and I have used VistaPrint before, but I hadn't heard of the others. Thanks for being a great resource! I also use NextDayFlyers.com. They are extremely reasonable for print runs over 500+. Thanks for recommendations. I needed to find a place. Gah, right after I got a new batch of (slightly boring, but free) business cards from Vista Print! I use Printrunner.com and have had excellent luck with them. How much does Overnightprints charge for shipping (free samples)? Or is it totally free? The free samples are totally free, I believe. At least, they were when I got them a couple years ago. I think you must have heard me earlier today wondering where I could have stickers printed....thanks for the answer! i have been wondering where to start looking for a good printer online. the timing of this post is perfection! thanks! Thanks for these wonderful tips! Thanks for the info! I use Overnight Prints mostly, and though I know many more people who've had problems, they've always been wonderful about correcting them. Great communication, too. I know online printers can be really inexpensive but you wouldn't have to send a job back if you used a local printer. Local printers have better quality and customer service. You can follow a job from beginning to end and most likely correct problems before they go to press. Support local businesses! I get asked this all the time, but print with local offset & digital printers and have no idea what to tell people. This will help big time! Thanks! We use Negotiable Graphics. They are willing to really work with you and even their prices are negotiable! Thanks so much for this list of printers. I am working on some projects right now, and have been looking for recommendations. Thanks! Jessica, Thank you for spreading the word about iPrintfromHome.com! Hello everyone! - I'm Sara Campos from iPrintfromHome.com. We've been getting a lot of site traffic from this posting and I want to let you all know about this new customer promotion we're currently running - all new accounts created at iPrintfromHome.com are eligible for a $10 account credit that can be used towards any order (no min. purchase required). Or, go to iPrintfromHome.com, click on "Resources", then click on "New Customer Promotion". Jess - this is a fantastic resource. Thanks for doing this. this post is SO incredibly helfpul! thank you for posting. getting things printed is always such a hastle. it's great to have these recommendations from a trusted source. Pam, you're exactly right. You get what you pay for. thank you! i've been wondering where to get good giclee prints! Thanks for the recommendations. I just used Moo Cards to make a batch of business cards, and they did a nice job (I used a photo I had taken), although I wish they allowed users to tweak the font sizes. As a graphic designer constantly ordering business cards, gotprint.com is where it's at! Prices are insanely great. You can request a sample packet of everything they offer (which is pretty much anything you can think of.. plus more) free of charge. Great quality! I like Vista Print as well. Pretty decent job especially for the prices. Great post! I have always been happy with Overnight Prints for postcards/flyers and business cards, recently been using PS Print for our lookbooks. Like Angie mentioned above they usually have discount codes too which is nice! Both don't have the color matching that one other person mentioned in another comment- and so hearing about that is really helpful!! I also used U-Printing for some roll stickers- came out AMAZING. Thanks for the recommendations! I've often thought about what would be the best printing service to use. Even though I feel kind of ghetto- I use Vista Print too and have had good results. After trying many others, I recently discovered 4over.com and have been extremely impressed. Amazing prices, options, quality and turnaround times. I've had everything from business cards to coasters printed here. Beware of VistaPrint - a friend of mine ordered some stuff from them and subsequently found her bank card being charged for some services she had never signed up for. When she called the companies in question they claimed she had signed up as part of her vista print order - so make sure you are careful with them and all the small print. I’ve been using http://www.printsafari.com. They are cheaper than UPrinting (and I haven’t noticed any difference in quality). Printsafari also offers special discounts most often. I've been wanting to print professional looking calling cards for my etsy shop. These links are great, thank you! Thanks for the suggestions. I just used Overnight prints - the quality was so-so, but it was very cheap! I want paper printing used in this stuff,I really love creating some artworks. Imagine me giving you a giant kiss. On the lips. Because that is exactly how much I love you right now. THANK YOU. I can't wait to try out the giclee print! I think I will order something TODAY to test it out! I've been testing out online printers lately. I tried moo.com and liked them, although they were slightly pricier than I was hoping for. Um, I'll take a hug instead, if you don't mind. :) Happy printing. Has anybody tried zazzle.com? I saw it recommended somewhere — looks like they can print just about anything. I was thinking about getting some buttons and stickers. Anybody used them? Great list! And some great comments too. I want to second the vote for 48HourPrint.com. They're fantastic with amazing customer service. Out of dozens, I've only had one job color shift and they fixed it right away. Beautifully. Also, I'm in the middle of my first print job with UPrinting and I'm excited to see how it comes out - they offer one winning exceptional service: round business cards. As in circles. Also, squares. At totally reasonable prices. Fingers crossed that the job turns out well. Try- polkadotdesigns.com - I absolutly love them! you can play with the fonts and move them around and change colors - they are 100% customizable not to mention all the designs they have are adorable! I am new to this blog and this is a WONDERFUL article, as I am a Graphic Designer and was looking for a less expensive option for my clients than my local printers. Especially since most of my clients are self-employed or start up companies and are looking to save money where they can. My problem is, that I have an identity package to put together and all the stock I've specked for my client is tan, not white. Does anyone know of an online printer that will print on color stock or offers color stock that they will then print on? Has anyone ever tried printing full color front and back for a letterhead? I cannot imagine my client's letterhead being tan on one side and brilliant white on the other! Any suggestions, or will I have to send this job to one of my local printers? I'm with the person who suggested supporting your local printers. However, there are a lot of products they don't offer. I need a very small run of cling stickers and magnets. This expansive list is awesome. Thanks ladies. I have found that my local printer will match prices on things such as business cards. Also, I agree about 4over...their quality is way above a lot of these other online places as they serve professional printers. They you 500 lpi as opposed to many online printers that use 200 lpi. I ordered note cards on linen paper to give a friend for her wedding (it has the logo I designed of their names from the invitations I made). Vista printed their website on the back of the note card, and they didn't tell me that in the proofing process! Can you believe it! I mean, obviously if I'm using linen paper, It's probably for something formal like a wedding. I just can't believe they would do that. So anyone have any thoughts of an online place that would print note cards on white linen card stock? I'm kind of thinking buying the paper and going to Staples would be my best bet. I know this is coming way late but I'm surprised no one mentioned PrintingForLess.com. Their customer service is fantastic! Their prices are reasonable and they are environmentally conscious to the extreme... Think wind-power, recycleable packaging, 100% recycled paper, etc. They have their stock online options, but if you pick up the phone and give them a call, they can handle any job. I also love Printrunner. No one delivers cheaper aqueous coated stuff. Their quality is always VERY high. Good resource for designers! I've heard lots of negative reviews about the customer service of Vistaprint. It also sounds like they sell customer information to third parties. Apparently, a few people have had odd credit card charges show up after using their service. I usually hear positive comments about Uprinting and PrintPlace. I consistently use Print Pelican for my online printing needs. They quality is wonderful and their customer service is extremely helpful and friendly. You can request a package of samples from them on their website. So far gotprint beats vista and psprints. You might look at 4over, Inc. However, they work with the trade only, and not individuals. Their prices, quality and turn around is great. Customer Service isn't the best although if there is a problem in printing they are pretty good about making things right. They do spot uv, foil, and offer many of the common print products, including large format. I would suggest looking into color printing services like treetowns, they are a equipped to help customers with stuff like that. http://www.treetowns.com/colorgrafx/color-reproduction Good Luck! My experience with http://www.rgbprintings.com was great. Great post. Over the years I’ve ordered dozens of catalogs that were printed with less than expected quality, some being downright scrappy. A couple months ago my company in Hobe Sound FL, printed some catalogs with PCA Delta and they were great. I’ve been printing with them ever since. They show care for the environment by using soy based inks, plus recycled papers are available upon request. If you need items printed on recycled paper go to http://www.pcadeltaprinting.com/ I strongly recommend them. I used Vista before, quality is ok you get what you pay for but recently I found out about inkgrafik.com it has way better quality and great prices! I also used to use Vista before, but recently I have been using printdino.com and I find there prices are very cheap and their quality is great, give them a try. I use gotprint. Great customers service and reasonable turn around time. Those who advocate local printers, have no idea what their talking about. Local printers charge an arm and a leg for the same quality product. I'm talking about 500% more. When you deal with small business, the way you win business is when you tell them that printing cost for 1000 brochures will cost you only $150, instead of $400. And thats me making at least $50 bucks off that print job. To me these 1000 brochures cost less than $100. If I was using local printers, forget about your markup. They are very cheap and their quality better than all the other printers I have used in the past. Try them for your next print job and you will not regret it. I go to www.graphicmediaink.com its great source if you are a designer and need a place to print has everything. You can also request a graphic designer to help you. I had one and they gave me a better price on print because I used the graphic design service. Most of these suggestions are adequate, but if you are looking for the best quality at the lowest price, I would recommend trying LowCostPrintShop.com. I've used them many times for my business and for personal projects and have always been happy with my orders. I've ordered Business Cards, Vinyl Labels, Letterhead, NCR Forms, Postcards and a large Yard Sign, but they offer much more.